Welcome to my new blog. Since my twin girls were diagnosed with Celiac a year ago, our toughest meal has been breakfast. Prior to them being diagnosed, I bought most of my gluten free breads and baked items pre-prepared. However with three of us needing gluten free options and having two girls that love to help in the kitchen, we spend many of our weekend mornings baking. 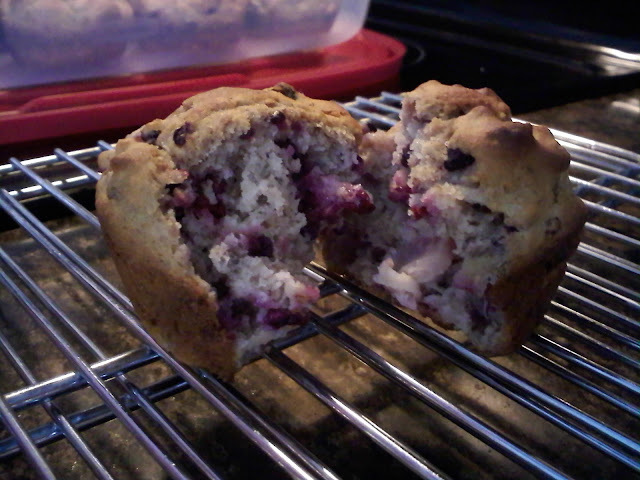 One of our favorite recipes is Apple Berry Muffins, full of lots of fruit and good for breakfast on the go. We usually make a batch, eat a few and the rest go into the freezer. Preheat oven to 375 F. Mix together eggs, apple sauce and milk. Add all purpose gluten free flour, salt, cinnamon and sugar. 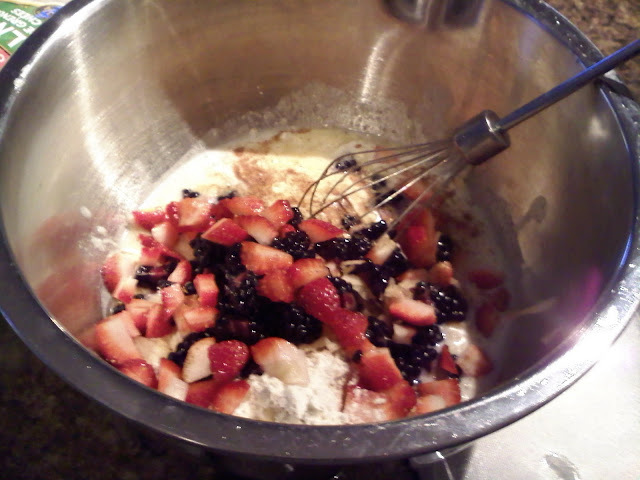 Stir gently until ingredients are incorporated, make sure not to overmix or muffins will be tough. Fold in grated apple and berries. Spoon into greased muffin pan. 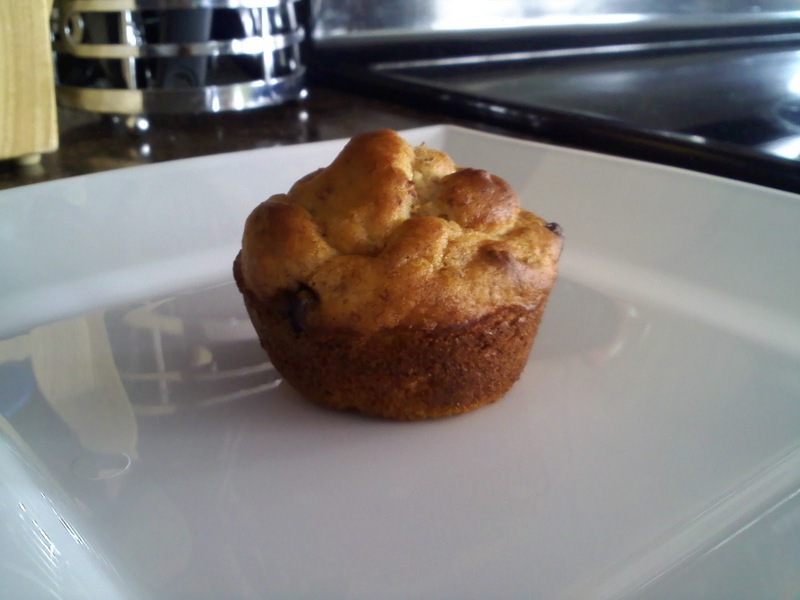 Bake for 25-30 minutes, test by inserting toothpick into muffin and if it comes out clean, muffins are done. Place on cooling rack and Enjoy! 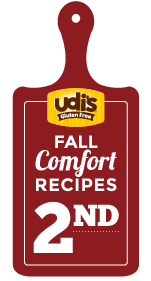 *For those who are not Celiac, these muffins are yummy gluten free, but can also be made by substituting 1 1/2 cups flour and 2 tsp baking powder for the all purpose gluten free flour.